From now on, new bitmap drawings created in your scene will have the selected canvas size and pixel density. 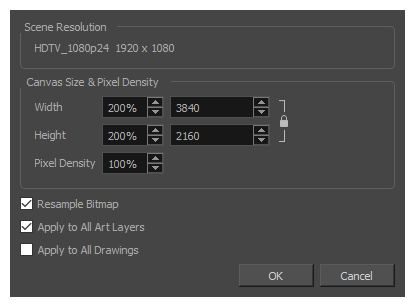 Since changing the bitmap resolution settings for your scene will only affect newly created bitmap drawings, you may also want to change the bitmap resolution settings for existing bitmap drawings. This is possible. However, if your bitmap layer already contains artwork, it will be resampled. This is not necessarily a problem if you want to lower your bitmap layer's pixel density, which you might want to do to save on disk space and help Harmony's performance. However, if you want to increase your bitmap layer's pixel density, Harmony will have to generate extra pixels for your bitmap drawing, which will cause the image to lose quality. 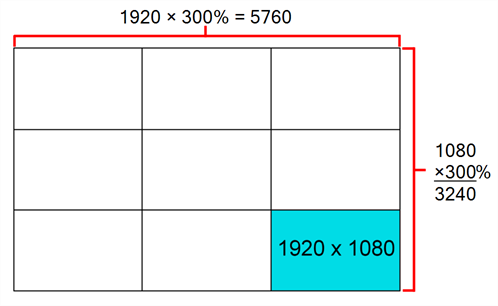 Hence, it is important to calculate and set the proper pixel density for your bitmap drawings before you start drawing. 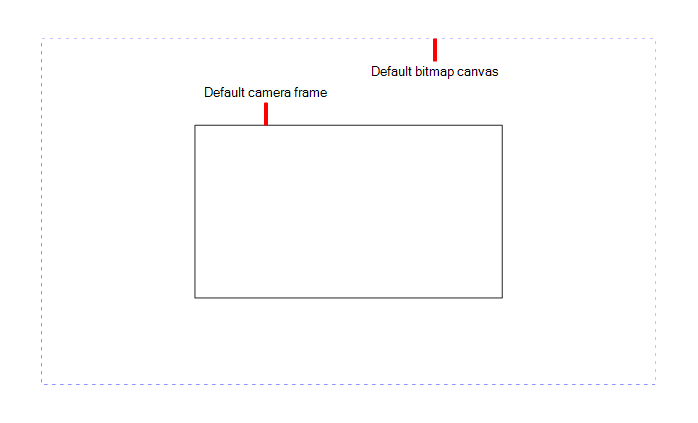 In the Timeline or Camera view, select the bitmap drawing for which you want to change the canvas size or pixel density.